Don’t Hold Onto Objects At The Expense Of The Experience. I attended Tropfest’s RoughCut film symposium in NYC last month. In addition to interesting speakers and insider expertise, I got some great 40:20 Vision. I love going to events simply because they interest me and then realizing there is so much I can apply to my life and work. I decided to sum up what I learned in a series of posts. This is the second post (read the first here) based on the talk given by Nick Law, Global Creative Director of RG/A, a global digital agency. Not surprisingly, Nick was a spot-on storyteller. I was inspired by (and could relate to) his nimble summary of the state of adland, which in the post-Bill Bernbach world aimed to be as entertaining as it was informative so as to make up for the fact that it was interrupting your chosen entertainment option (a la the VW ad above — it was served up with a smile). Nick’s story was about how all that has changed since the advent of the digital economy and the collision of Madison Avenue, Hollywood and Silicon Valley. Point well taken that it’s not that creatively fulfilling or entertaining to put a “blue line underneath type.” He went on to discuss how the tension is really just two sides of the same coin – or perhaps creativity just spoken in different languages. True dat. Nick’s perspective is that the two worlds need to play together to engage the consumer in play. It’s not enough to entertain and inform anymore – brands need to tell stories and build platforms that enable people to do something. Yes we have gotten much savvier! It’s not just about feeling good about a product or service or thinking it’s cool. 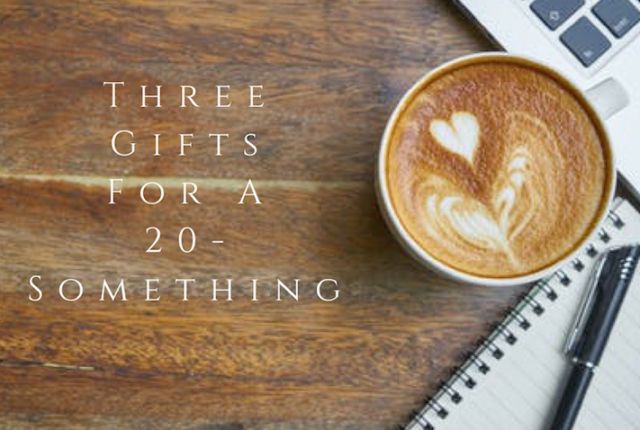 You have to know how to use it and know how it adds value to your life (think Apple iPhone ads which are basically demos of what you can do). He knows what he’s talking about as RG/A is behind Nike Plus – a great example of a brand enabling and empowering people to do more (amongst many others). “Industries tend to protect the object rather than figuring out the experience”. He again referenced the music industry. The music brass fought tooth and nail to hold on to their ability to sell CDs rather than figuring out how to work together to enable customers desired experience of music “my way, on my time”. 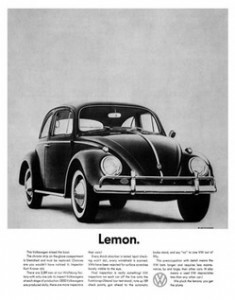 Ironically — the VW Bug ad that changed the ad world is a metaphor for the same point. In as much as the train industry is a case of the opposite (if they had expanded their view of what business they were in they might have not goine extinct when airline travel came about). The 40:20 — don’t hold onto objects at the expense of the experience. Or said another way — embrace change. On a personal level, don’t box yourself into a fixed definition of who you are or what you need to have or achieve at a certain point of life. Instead focus on how you want to experience life! Sound thoughts and advice to start the new year. Thank you.